Zucker and Matt Dumba have both signed in the last week. Jason Zucker fans can stop worrying. The Minnesota Wild forward is sticking around after agreeing to a five-year contract extension worth $27.5 million. Zucker had a breakout season in 2017-18, scoring 33 goals with 31 assists while playing in all 82 games for the Wild. He&apos;s still just 26 years old, and his new deal will keep him in the State of Hockey for years to come. Zucker&apos;s deal comes on the heels of the Wild agreeing to a five-year, $30 million extension with defenseman Matt Dumba. Dumba totaled 50 points as a 23 year old last season. 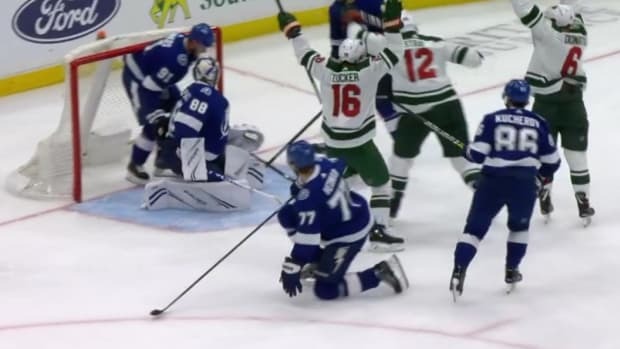 Jason Zucker scored three times for his second career hat trick. Minnesota will reportedly get Kevin Fiala in return. 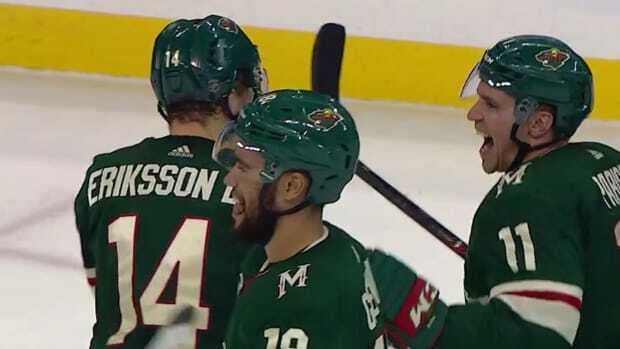 Jason Zucker and Joel Erikkson Ek scored 26 seconds apart late in the game.